Visitors can escape to an idyllic glamping retreat in a secluded beachy area of Cornwall courtesy of Melody Farm. Good work deserves recognition and each of the award winning sites in the 2017 Campsites.co.uk camping and glamping awards has offered something above and beyond to their guests. We bring you the sites that offered guests something extra special in 2017. The judges cherry-picked the very best glamping sites, the campsites that welcome four legged friends with open arms, and much, much more besides.. It’s high time to say thanks and give credit where it’s due, so well done to all the winners - and here’s to more of the same in 2018! When it comes to camping, the overall experience matters for a boost that will stay with you long after you return to daily life. 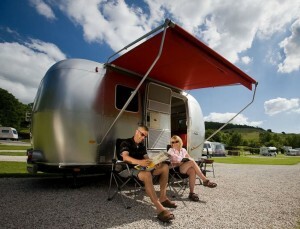 The chosen sites were not only immensely popular on the website, but also generated a buzz from their happy campers. 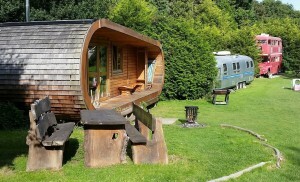 WINNER: Park Cliffe, Cumbria Set in gorgeous countryside just a short distance from Lake Windermere’s eastern shore, this park offers gorgeous fell-side pitches and range of quality glamping options. With locally sourced delicious dishes in its restaurant, a dog-friendly bar terrace and the undeniable luxury of private bathrooms for hire, Park Cliffe is the perfect base for a tour of the Lakes! The National Winner in the Popular Choice award category, Park Cliffe is the perfect base for a tour of the Lakes! It’s time to really put the glam in glamping! When holidaymakers book a glamping break, they’re looking for something extra special - the experience factor, a high standard of service, and those allimportant luxury touches that bring your stay to life. These sites deliver the best of the best, so give them a big hand for understanding exactly what makes you tick! 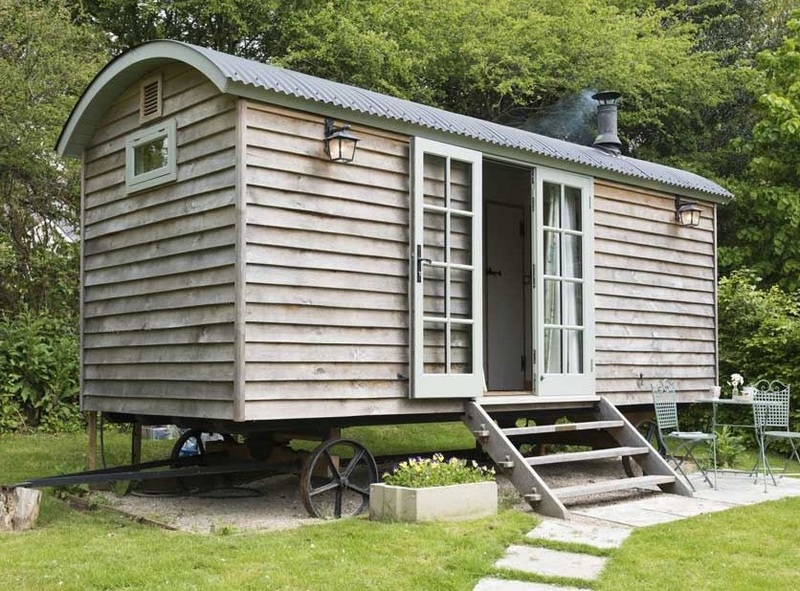 WINNER: Melody Farm Shepherd’s Huts, Cornwall Escape to an idyllic glamping retreat in a secluded beachy area of Cornwall, with these two heart-warming shepherd’s huts for company. Not only can visitors indulge in their own romantic haven, with a double bed, your own en-suite and a rustic kitchen area, you can also make full use of the site’s boutique facilities. Residents be well entertained with a swimming pool, tennis court, state-of-the-art gym and five luscious acres to wander in. Not much matters more to us Brits than our four-legged friends, and we need their company on holiday just as much as when we’re snuggled at home. These pooch-pampering sites know that dogs are a part of the family, and make sure that they feel like it! From dedicated dog walks, to on-site groomers and pet friendly pods, man’s best friend has never been made more welcome! When you get peckish and head to the site’s restaurant, your four-legged friend is welcome too. And even if you decide to explore on two wheels, you can rent a doggy trailer locally and bring your pooch along for the ride. Talk about a dog’s life! WINNER: Sandy Balls Holiday Village Sandy Balls Holiday Village in Hampshire has been running for more than 95 years and in that time tens of thousands of guests have enjoyed its superb customer service, luxury facilities, quality accommodation and an abundance of activities in a breath-taking setting. Five-star Sandy Balls has something for everyone, so whether it’s a long weekend, mid-week break or longer, it offers the perfect holiday destination. Sandy Balls offers a site where pets are recognised as members of the family. These sites offer something truly quirky and unique, allowing the visitor to experience the most unusual accommodation ever dreamed of - for memories that last a lifetime. Situated within the South Downs National Park, only 10 miles from Brighton, Blackberry Wood is a truly unique camping and glamping site with private camping glades in a woodland setting, each with their own fire pitch for the essential campfire. 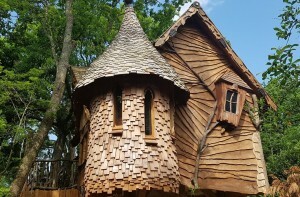 Glamping options include a double-decker London bus, a converted Wessex helicopter, a gypsy caravan, an ‘Eco Perch’ log cabin and two incredible treehouses. Blackberry Wood, East Sussex, caught the judges eye. Blackberry Wood, offers a unique camping experience. These environmentally friendly sites are top of the leaderboard when it comes to working in harmony with nature and finding ways to save the planet and preserve our beautiful countryside without diminishing your holiday experience. Get away from it all and discover the freedom of wild glamping with a visit to Eco Camp UK’s Wild Boar Wood Campsite. 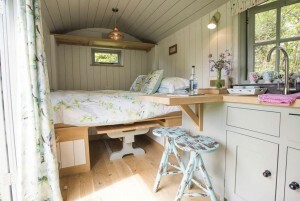 Set in a private five-acre woodland near Haywards Heath in West Sussex, our small off-grid glamping site offers a fantastic option for those looking for glamping near London. 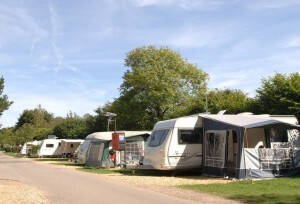 The campsite has just nine bell tents tucked away among the trees and opens from April to October. Here, you can enjoy the simpler things in life as you relax around the campfire, enjoy the natural surroundings and make a hobby of waving at steam trains passing on the nearby Bluebell Railway. Please get in touch to see the full feature!